All Green River guided trips, bookings, cancellations, and deposits are completed with Trout Creek Flies under Ashley National Forest Permit. There are no refunds due to inclement weather. This is an outdoor sport so please be prepared for the day’s weather. Booking a fishing trip confirms that the cancellation policy is accepted. Trip may be cancelled or re-scheduled due to disasters, “Force Majeure” ,or extreme hazard. Events outside Trout Creek Flies/Dry Fly Utah/Guide Nick Jackson control, which is not reasonably foreseeable, shall be considered force majeure, meaning that Nick Jackson is released from all obligations to fulfill contractual agreements. Example of such events are government or Tribal action or omission, new or amended legislation, conflict, embargo, fire or flood, sabotage, accident, war, natural disasters, strikes or lack of delivery from suppliers. The force majeure also includes government decisions that affect the market negatively, for example, restrictions, warnings, ban, government or Tribal shutdowns, etc. 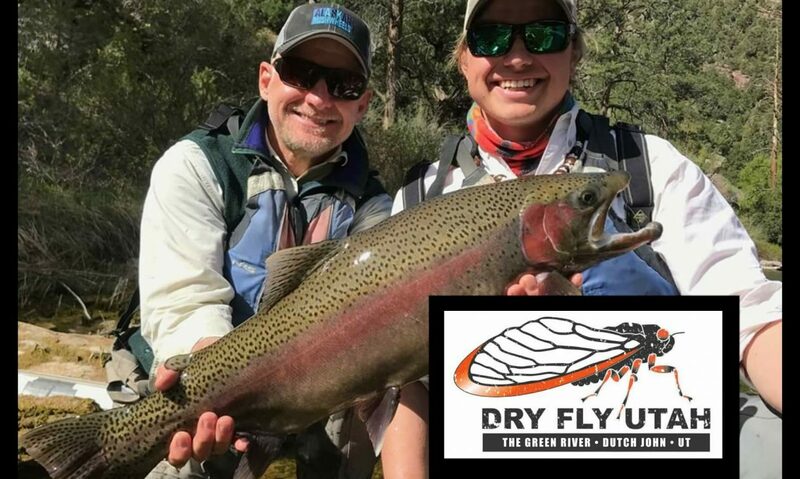 Regarding food and beverage and existing health conditions: Dry Fly Utah/Trout Creek Flies/Nick Jackson/Julianne Peterson are not responsible for food or other allergic reactions or for medical conditions that may occur during your trip. Please notify us of any special needs prior to your trip.